There are tons of stray cats roaming the streets and shore of Istanbul, Turkey. 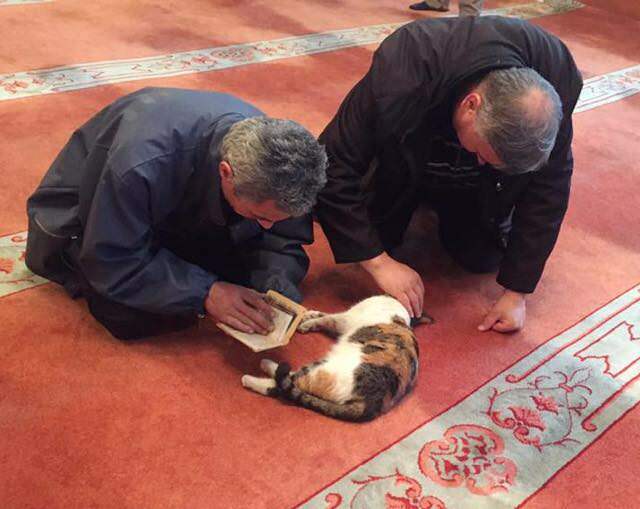 Though it can very rough for the cats out on their own, this kindhearted man named Imam Mustafa Efe opened the doors of a large, beautiful mosque for these lonesome kitties to enjoy the service while staying safe and warm. It is so amazing that there are people who open their doors to these cold kitties in need, so heartwarming. 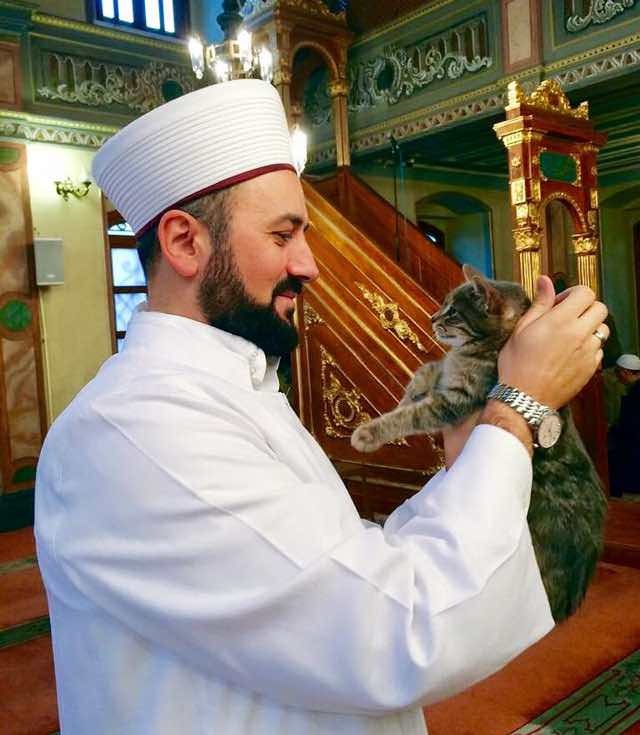 Imam Mustafa Efe has become an inspiration to many people in Istanbul by welcoming these cats and kittens into the mosque. He calls his little friends “guests”, and wants them to come in and get comfortable. One kitty is already a permanent member of the family and sits with the guest during the services! 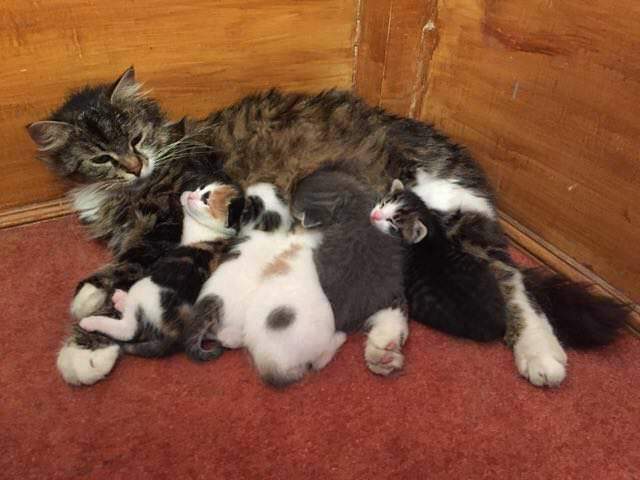 What a great place for this mama cat to raise her little kittens, thanks to Imam she will sleep well at night knowing her babies are safe and away from harm. The kittens would have such a hard time surviving in the harsh weather of this season out there with no shelter, thank goodness she found this wonderful place! Watch this mama cat bring one of her kittens back into the mosque! Imam Mustafa Efe is an inspiration to us all. More people need to be accepting of animals in need of food, warmth and shelter. It is just the moral and right thing to do when you see something in need, to try to help. 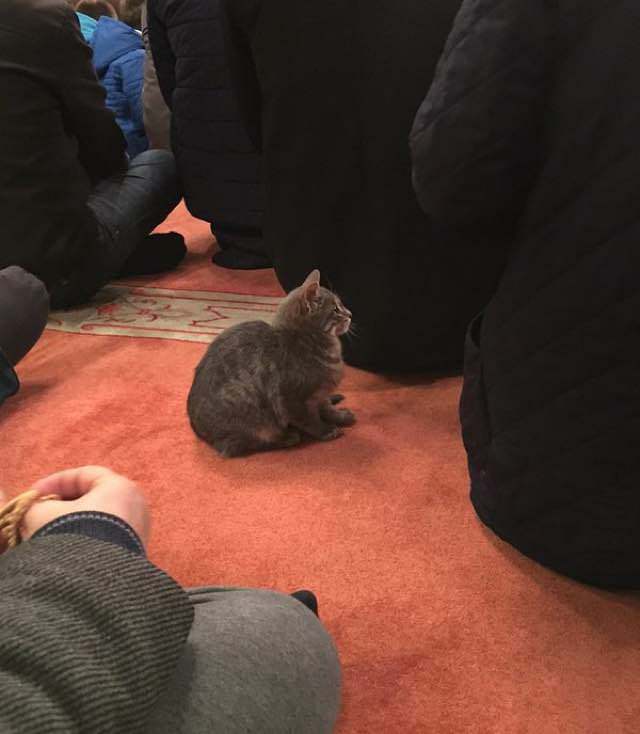 It’s so wonderful that all of those cat are safe and have much better odds of living and staying healthy living inside of the mosque. They are away from the harsh cold weather and really enjoy being around Imam and all of the other members!